We provide balanced and nutritious meals based on guidelines from the Health Promotion Board. Most of our pre-schools have participated in the Healthy Meals in Child Care Centres Programme (HMCCP) yearly by the Health Promotion Board. This Award recognises kindergartens and childcare centres that provide healthier food options and promote healthy eating habits. 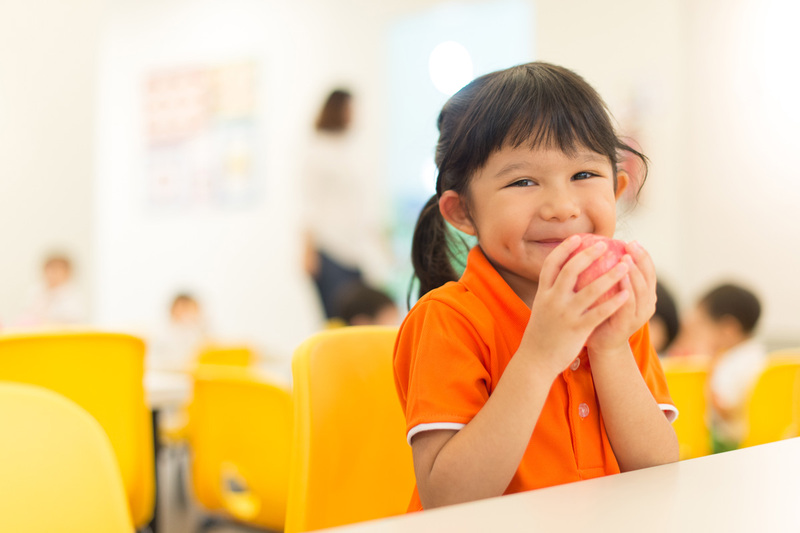 Mealtimes are an extension to our approach of learning through experiences, and it is certainly never too early to encourage healthy eating habits. It has also been proven that the right nutrition is crucial to brain development. That is why each meal has been carefully planned by our food consultant to provide your child with a balanced diet. At My First Skool, we offer children a variety of food and different cuisines so as to expose them beyond local flavors. It also introduces them to different cultures and traditions. 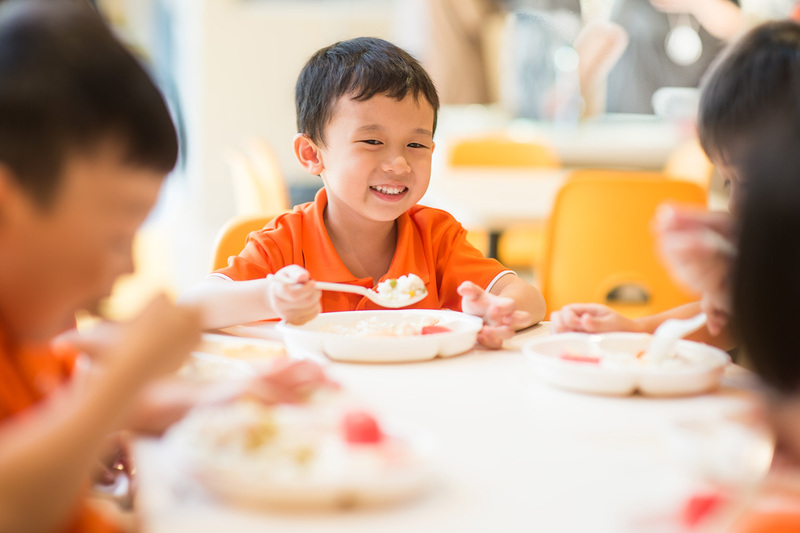 Trying different cuisine may even reverse some “picky” tendencies that children may have developed. Our cooks attend workshops to enhance their skills and learn new recipes regularly. Check out some the food from our menu below! We are strict and careful when it comes to food allergies. Going beyond not serving children food that they are allergic to, we offer safe substitutes for them or provide them with other replacements. 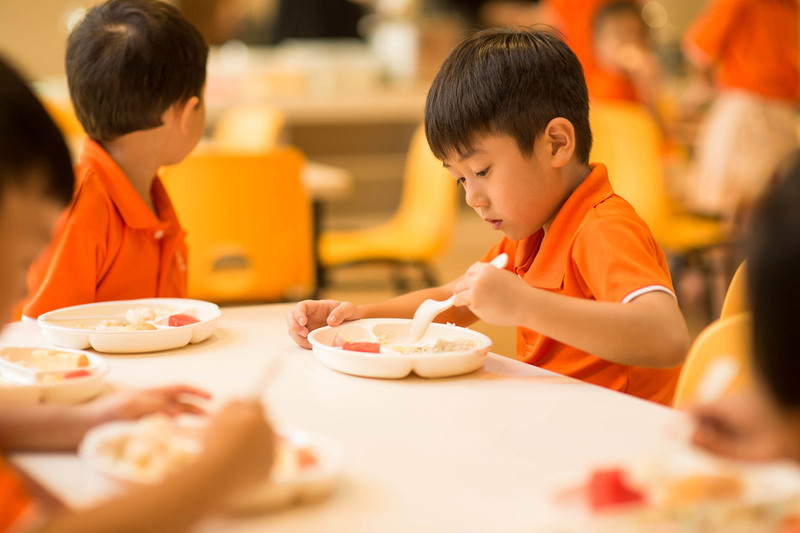 Please inform your principal on your child’s dietary requirement during registration if your child has any food allergies so we can prepare the right food with the right nutrition for him/her.